The year is 1945 and the world is at war. Meeting on a London Underground Station for the first time, Kiera Hudson and time traveler Samantha Carter are brought together to take part in a desperate mission deep behind enemy lines. With a friend's life at stake and the help of two mortal enemies, Kiera and Samantha must face a foe more terrifying than either one has battled before. But can vampire and werewolf work as one or is it only a matter of time before Kiera Hudson and Samantha Carter are pushed apart again never to discover who it was who brought them together and why? 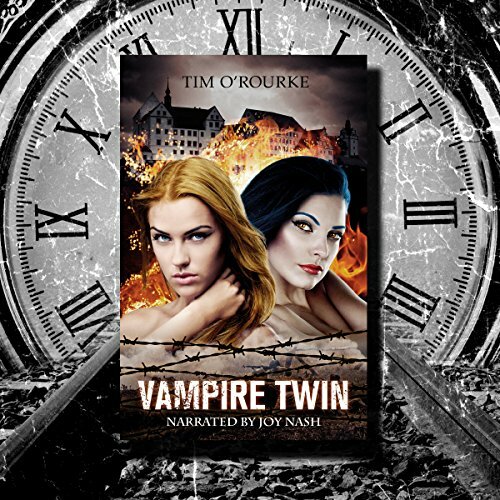 Vampire Twin, an adrenaline fuelled spin-off story from the supernatural world of Kiera Hudson.